Doctors are usually taught very little about how to deliver bad news to patients and their families, so they often do it badly. JoNel Aleccia describes how one medical school is changing that. She wrote her article for Kaiser Health News (KHN), where she’s a senior correspondent, focusing on aging and end-of-life issues. KHN posted her article on March 13, 2018. It also ran in U.S. News & World Report. Sophia Hayes, 27, a fourth-year medical student at the Oregon Health & Science University (OHSU), entered with a quiet knock, took a seat and asked the wife to sit too. The drama, played out on a recent Friday afternoon, was a scene staffed by actors and recorded by cameras, part of a nerve-wracking exam for Hayes and 143 other would-be doctors. OHSU officials say they’re the first medical students in the United States required to pass a tough, new test in compassionate communication. 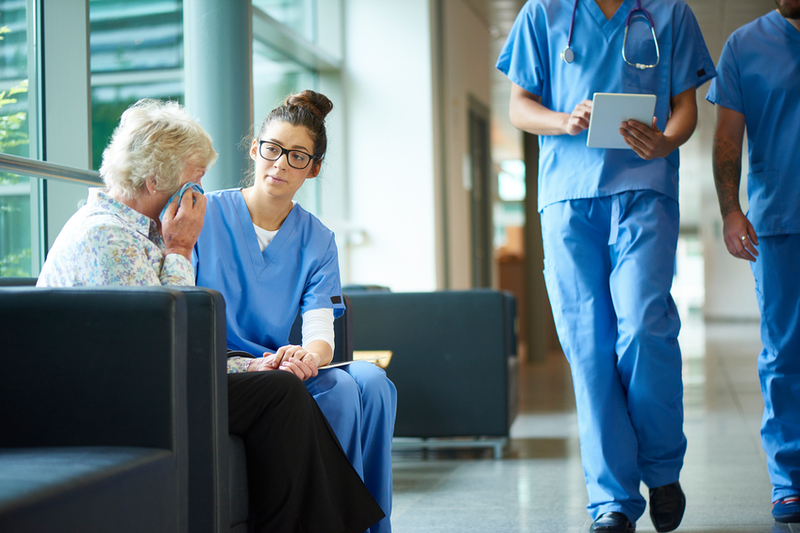 It’s a push started in the last two years by Susan Tolle, MD, director of the OHSU Center for Ethics in Health Care, who wants to improve the way doctors talk to patients, especially in times of crisis. Bad news, badly delivered, can have far-reaching effects on family. At Tolle’s urging, the OHSU officials revamped the medical school curriculum to include new lessons in—and standards for—communication, ethics and professionalism woven through the course work, said Dr. George Mejicano, the senior associate dean for education. OHSU isn’t the only center to focus on communication. 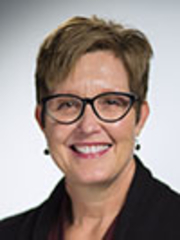 All medical schools and residency programs in the United States are required to include specific instruction in communication skills to gain accreditation, according to Lisa Howley, senior director of strategic initiatives and partnerships for the Association of American Medical Colleges, or AAMC. Residents are required to prove competency in order to graduate from training and be eligible for board certification for individual practice. And there’s been a larger effort nationwide to help practicing doctors learn to talk to patients about dying. But Mark Siegler, MD, director of the MacLean Center for Clinical Medical Ethics at the University of Chicago, who closely follows communication issues, said he believes OHSU’s approach is new. Hayes, the OHSU medical student, said she and her fellow students were nervous before the recent exam. But the practice with “standardized patients”—actors trained to portray people undergoing medical care—was crucial to understanding the right way to talk to families in a real-world situation. Hayes did quite well and passed the test, Tolle said. So did most of the other OHSU medical students. But several—she wouldn’t say exactly how many—will need remedial coaching and testing before graduation. Med school faculty will also be offered a chance to learn how to communicate compassionately. In real life, such botched conversations can have far-reaching effects. Mary George-Whittle was just 24 when her father had emergency, open-heart surgery in 1979. When the surgeon emerged from the operating room to face the family, his message was jarring. The long-term goal is to raise the bar across the profession, said Tolle, who’s had some practice shifting paradigms. She’s the co-creator of the Physician Orders for Life-Sustaining Treatment, known as POLST, a document credited with revolutionizing end-of-life instructions across the United States. In the same way, Tolle said, the culture of communication among doctors can change too, starting with the latest generation. KHN’s coverage of these topics is supported by Gordon and Betty Moore Foundation and John A. Hartford Foundation. JoNel Aleccia is a senior correspondent for Kaiser Health News (KHN) where she focuses on aging and end-of-life issues as part of KHN’s enterprise team. (In enterprise journalism, reporters not only dig up stories but explore the forces shaping events.) Aleccia began her career working for newspapers in the Northwest. Later, she became a health reporter for MSNBC, NBCNews.com and then the Seattle Times. Reporting teams she’s been on have won National Press Club awards.